Hi everyone! I am finally back with a new Christmas card! 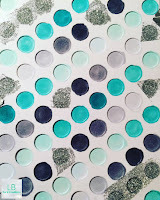 I prepared the pieces during the #dailymarker30day challenge but I haven't had time to assemble it. So for the background I diecut 2 pieces of white cardstock with the Peek-a-Boo Polka Dots dienamcs. The first one I adhered to another white piece of cardstock and used it as a stencil. First I colored in all the dots with teal and greay Copic markers. 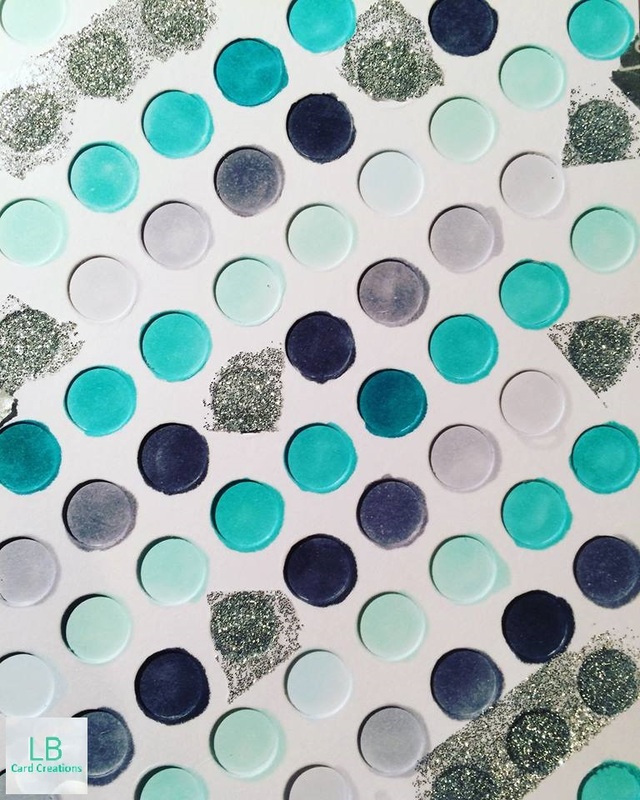 Then I used the nuvo glimmer paste for the left over dots. After letting the paste dry I adhered the second diecut piece on top of it which completed my background. Then I stamped the images from 'merry everything' with Memento tuxedo black and colored them in with Copics too. I diecut two tags from the 'mini tags' from Mama Elephant and and used the same markers. Then I heat embossed the tiny sentimets from 'mini messages'. Last but not least I added the tags by using a silver twine, adhered the images and glued the piece onto a white cardbase. I wish you a lovely weekend and a wonderful day!